When megaparties form, social polarization increases in the American electorate. Both social and issue-based polarization have recently been shown to decrease public desire for compromise (Wolf, Strachan, and Shea 2012), decrease the impact of substantive information on policy opinions (Druckman, Peterson, and Slothuus 2013), increase income inequality (Bonica et al. 2013), discourage economic investment and output, increase unemployment, and inhibit public understanding of objective economic information (Enns and McAvoy 2012), among other things. Polarization is generally not considered to be a helpful political development. …The anger that is driven by intergroup conflict and the gradual reduction of cross-cutting identities in the electorate is actively harming our ability to reasonably discuss the important issues at hand. The more people who feel angry, the less capable we are as a nation of finding common ground on policies, or even of treating our opponents like human beings. Our emotional relationships with our opponents must be addressed before we can hope to make the important policy compromises that are required for governing. The most interesting solution she suggests is based on “contact theory” and focuses on the media. For example, if partisan news media were compelled to present opposing partisans in more sympathetic ways, or if entertainment shows (e.g. sitcoms) included sympathetic partisans of both sides, then negative stereotyping and prejudice could be reduced. Mason admits, however, that the prospect of this occurring is low; networks cater to their partisan audiences and, if anything, the amount of contact between Democrats and Republicans is decreasing. As citizens, we may not be able to change the primary rules or tone down the partisan media, but we can begin to understand how much of our political behavior is driven by forces that are not rational or fair-minded. 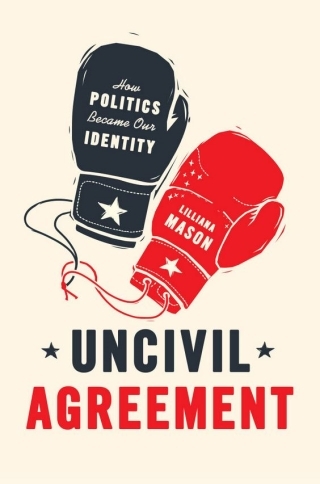 I believe Mason’s insights are hugely important, and that this understanding of natural human behavior should not merely be discussed by academics but should be pushed down to voters. When citizens start to understand the nature and effects of us-them psychology—both in others and in themselves—they will be less tolerant of the types of public dialogue that inflame it. As some grounds for hope, consider the progress made with other prejudices in the second half of the twentieth century. While prejudice has obviously not been eliminated, there has at least been a reduction in the acceptability of expressing racial and religious prejudice in public. Why, in principle, couldn’t the same thing occur with respect to our increasingly-predominant political identities? Imagine, in other words, a society in which people think twice about insulting or vilifying the other party; and, whenever someone does so, everyone within earshot recoils. Not motivated by a desire to inflict pain on the person, but because of a new shared understanding that such statements lead to dangerous outcomes. It is instinctive to see the outgroup as stupid, crazy, or evil. Lazily accepting that view is unfair. Worse, it has led to a politics in which legislative solutions to widely-recognized problems are stymied by a prevailing desire to see the other team lose.